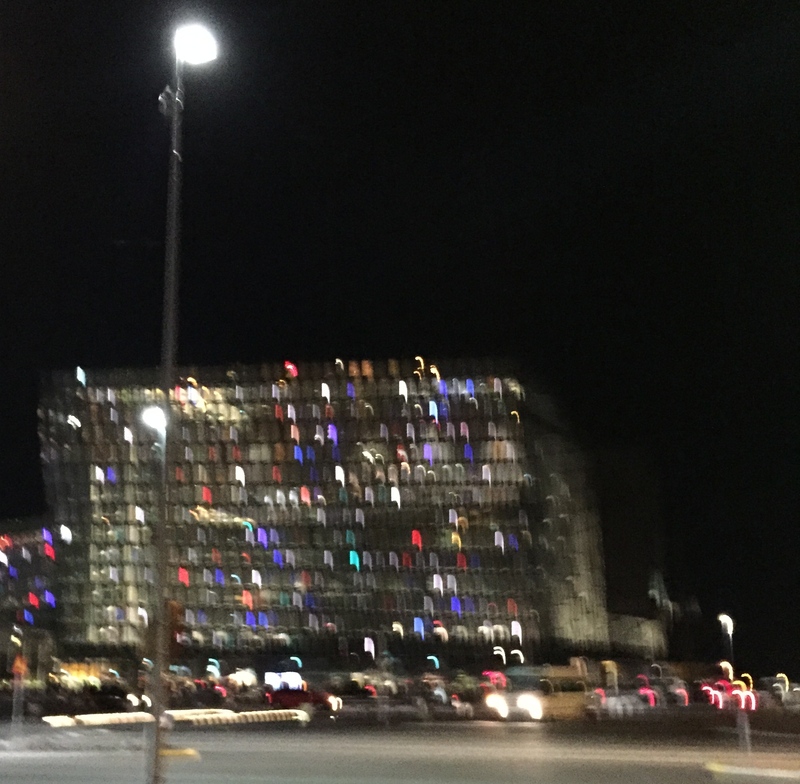 This event center is not afraid of the cold ocean that fronts Reykjavik. The honeycomb glass facade is not only beautiful, it also doubles as insulation against the cold, arctic gales that have been known to rip roofs off of houses. Stunning, if you ask me. Oh, oh, oh. And on this night the Northern Lights appeared in the black space above. Yep, definitely stunning. If you believe me. Next Post What the Hell is Scapegoating? I was in Iceland in 2002. I want so much to go again. I hope you do! It’s an incredible place. your words were as evocative as the image.